Koyama Shoten is a small Japanese market that has been open since 1986. 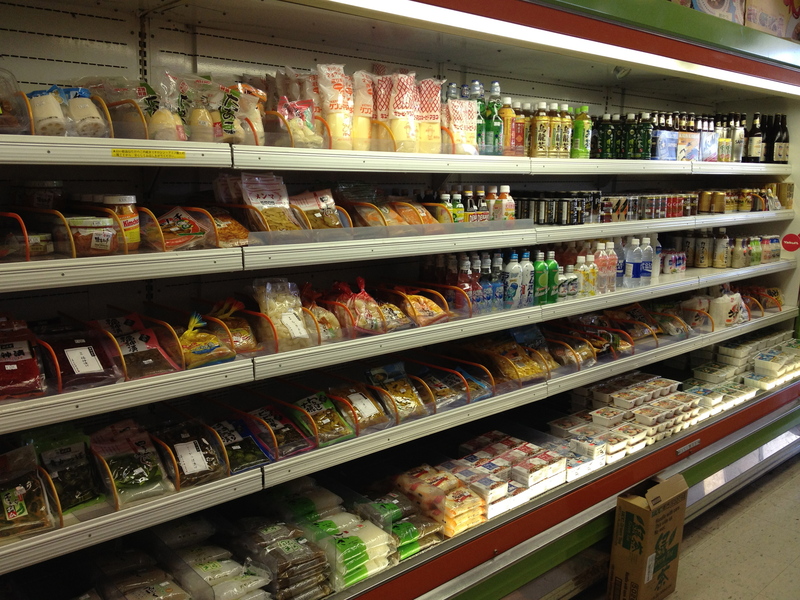 While not as large or busy as Tensuke, you can nonetheless find some items at Koyama that aren’t carried at Tensuke. As such, it’s definitely a popular stop for Columbus’ Japanese community. One of the main attractions at Koyama is their bento boxes (available both for lunch and dinner) and ready made bentos are found on a small table at the back of the store, available from 12.30pm-8pm. If you don’t see any out there ask one of the staff. If you want a specific one and are short on time or have a large order it is advisable to call ahead. At Koyama, everything with the “don” suffix are served in bowls with a side of Japanese pickles. All others are in the rectangular bento box with sides of pickles, vegetables and fruits. Each one comes with a small bowl of miso soup. These bento boxes are not as varied as most restaurant bento boxes often are – they consist of rice and protein with the aforementioned garnishes, but they are an exceptional value for lunch with most in the $5-6 range. It’s a simple and healthy take out lunch. 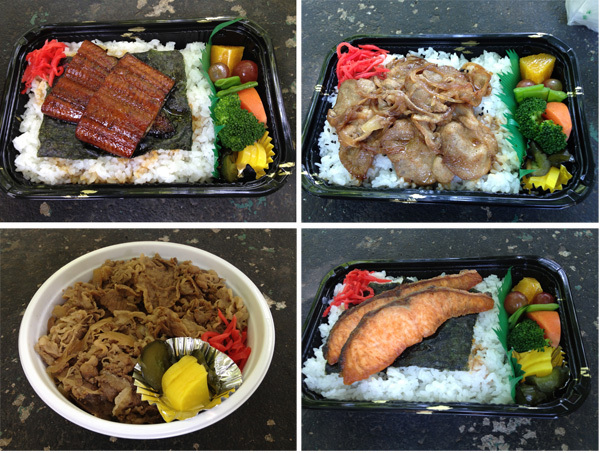 We recommend the gyu-don bowl, the unagi and the ginger pork. 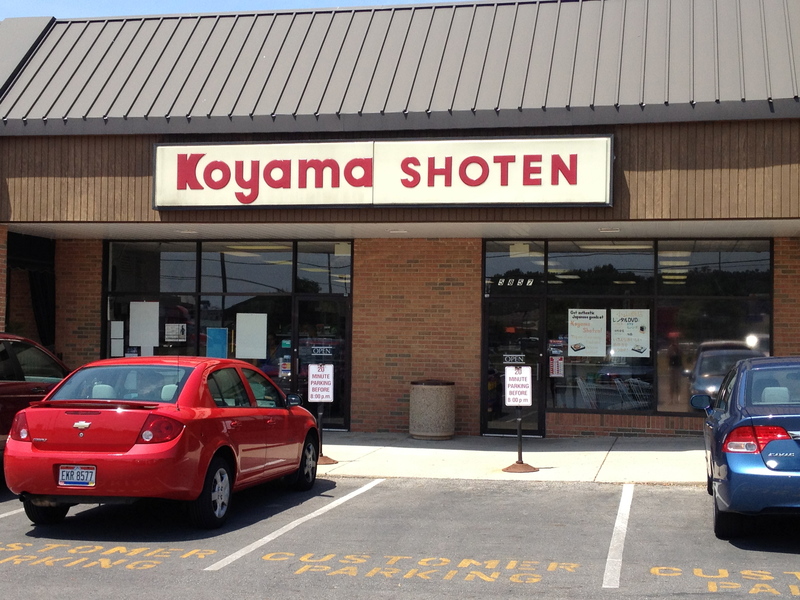 There is nowhere to eat at Koyama. It is strictly take out, but there is a nice little park a few blocks away. This entry was posted in Grocery store, Japanese and tagged bento boxes, japanese markets columbus, japanese take out columbus. Bookmark the permalink.